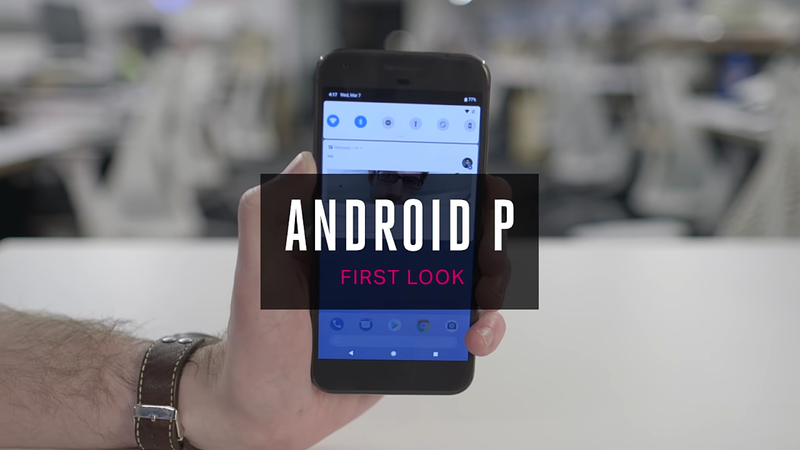 The Android P first developer preview is finally out for all android app developers out there, so they can start building their apps early, to work with it, before the official rollout. But not withstanding, anyone, i.e including non developers, can as well download and make use of it, probably to test it, or simply get a first hand feel of it, and to know what you should be expecting, before the official rollout. BUT: Make sure you're carrying out your test on a device you wouldn't mind if something goes wrong with it, or make sure you have a backup of your former version of android, because since this is just a developer preview, you should know that it comes with a dozen of bugs and hiccups here and there. 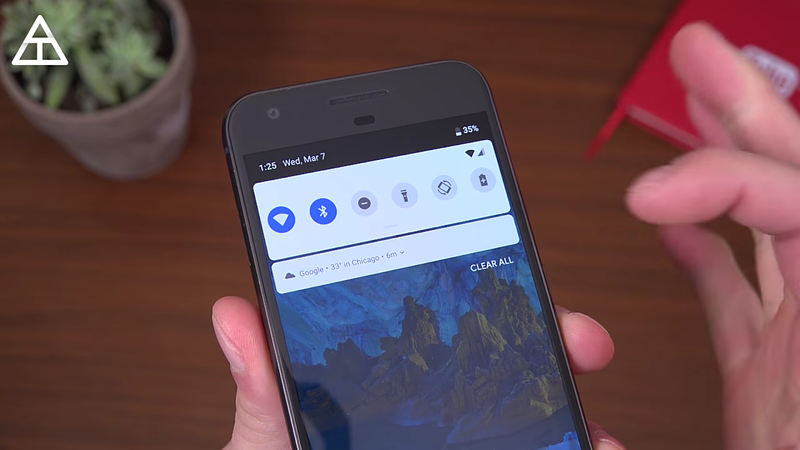 So with that out of the way, here are 7 new features that were discovered, while testing out the android P, first developer preview. PLEASE NOTE: That the features which will be listed and discussed here, might and might not make it, to the final rollout, so every information listed here, should be taken with a pinch of salt, and pepper. 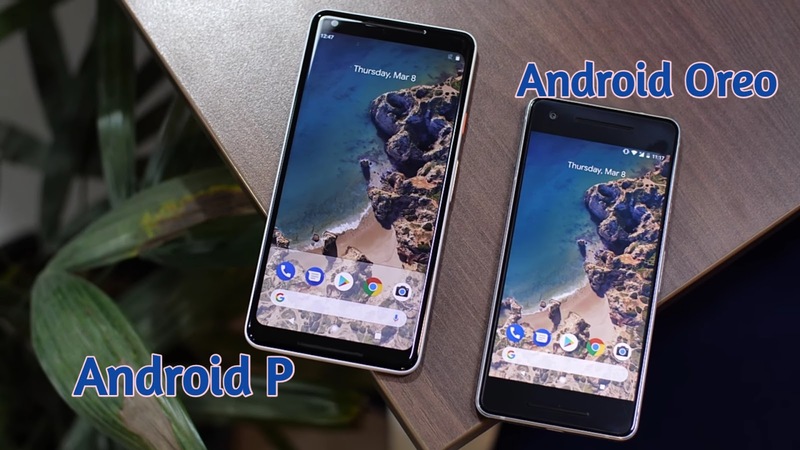 So during the time of testing, these are 7 major changes which were discovered in the new Android P developer preview, and which is what we'll be discussing today. 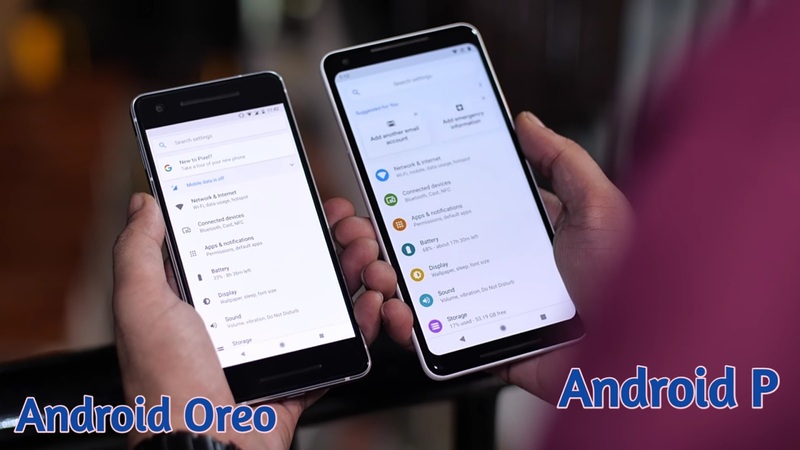 Now the android P comes with a little bit of design changes here and there, or should i just say adjustments or amendments, but not something that is entirely new and different from what we've been seeing lately in the recent android 8.0 and 8.1 Oreo versions. So first of all, coming to the home screen, if you're observant, you should notice from the photo above, that the clock in the status bar, has been moved from its usual far right end position, and now to the far left end of your device's screen. (i guess you didn't notice). Then going to the notifications tray, as usual, pull down from the top of the screen once to reveal quick navigation toggles, then pull down the second time, to see all navigation toggles. But that's not what we're here today for. If you're the type that takes note of details, you should notice that the notifications toggle icons are now rounded in grey coloured shapes, with a blue color accent added to them when they are toggled on. Then the next place where we saw a more significant change was in the device's settings menu. The settings options icons now has colours added to them, unlike the blank icons we were used to seeing on older android versions. Some people actually said, the colors made it look childish, and less professional, don't know what you think though, but i know a ton of people are gonna fall in love with this, but that is if it finally rolls out with the official usable version for everyone. So that is all there is to it in the overall ui changes, now let's see the next one. Coming from android oreo, you already know that the power options have been taken from its usual top or centered position, and have been moved to the right hand side of the screen, together with the volume toggles, so that's not anything new. But the biggest change that was added to the power menu, is the screen shots option. 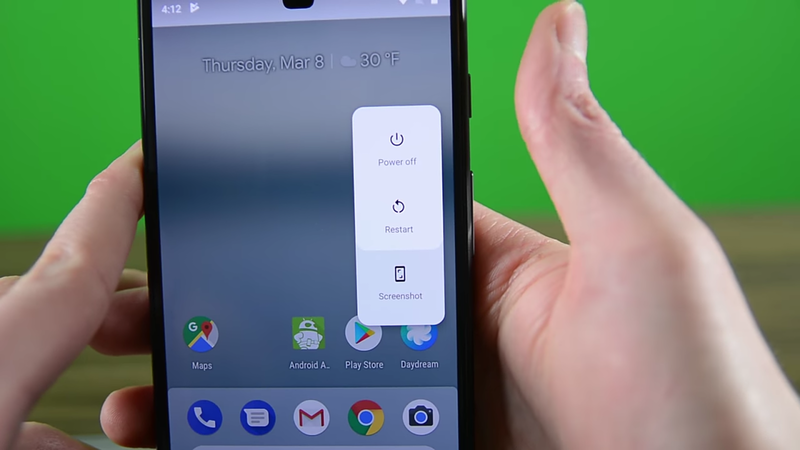 Long pressing on the power button, and you will see the option to screen shots on the go, included in the usual power off and restart options that we're used to seeing before. And then, not only can you take screen shots on the go too, you can as well.. Yes, this is another minor change, but worth mentioning, because why not? 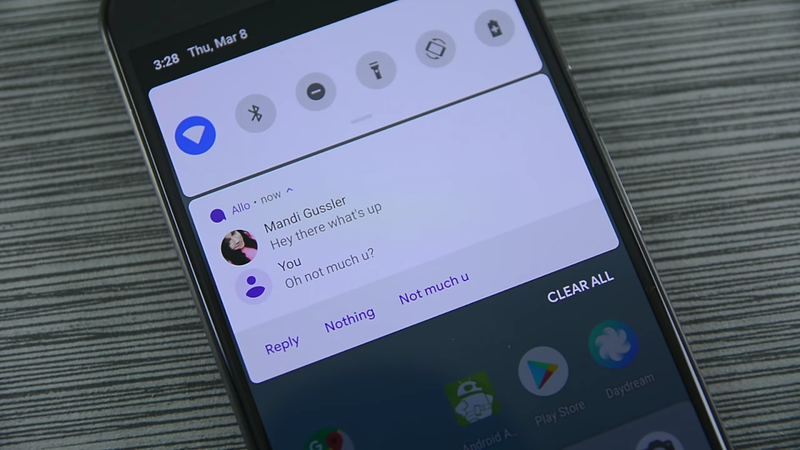 this is android P we are talking about here baby. 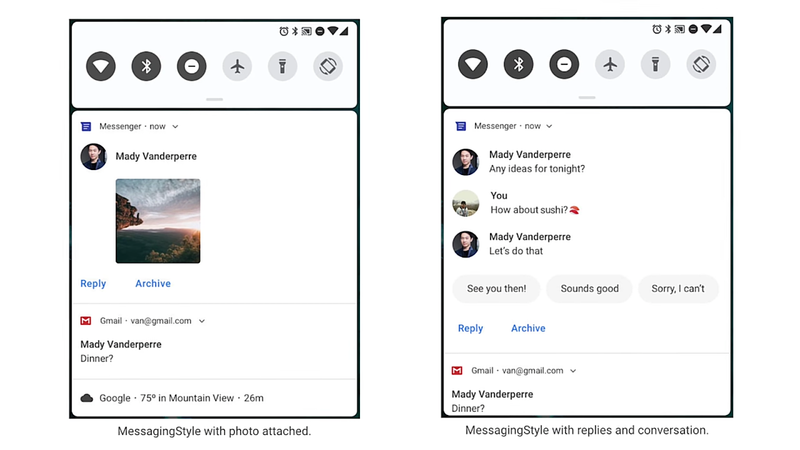 So after taking a grab of that screen of yours, Google did well to introduce its own screen shot editor, that will be used to edit your shots on the go, and then simply share them to everyone, and anyone who wants a copy of it. 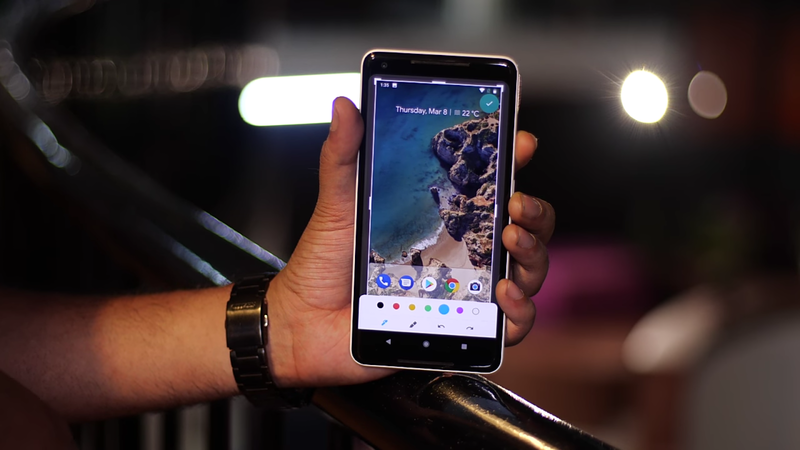 And after that, we have one of the biggest additions to the android P, which is.. So this is one reason why this early version of android P is called the developers preview version. 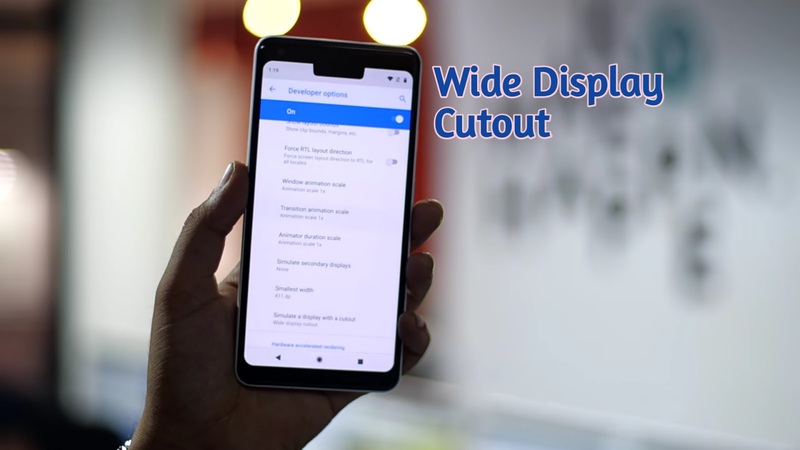 And included in it, are options that lets you simulate notch displays on your smart phone, which google referred to as "Display Cutouts", to help app developers begin to build their apps, to support notches. 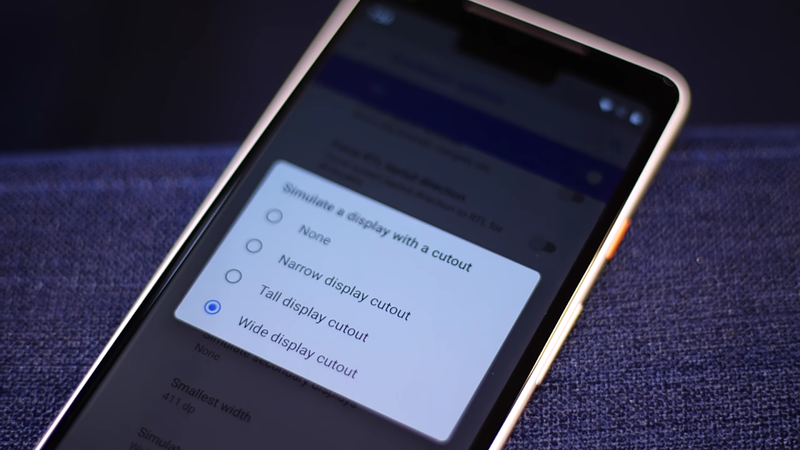 So in your device Developer Mode, you are given three options for the notch displays simulation. 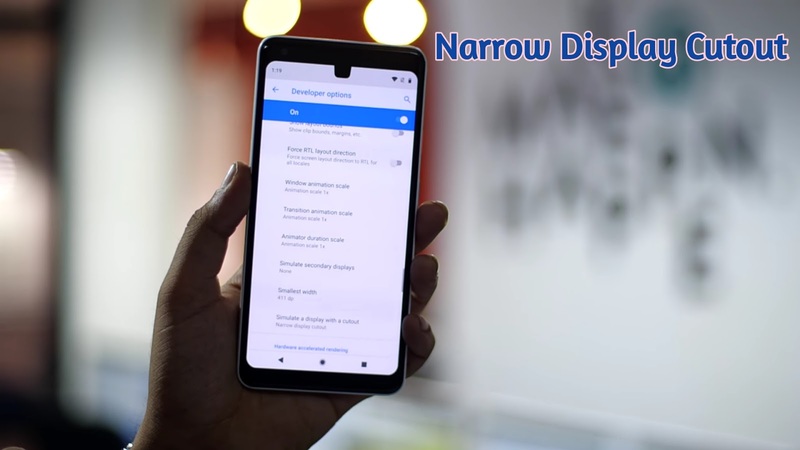 You can either make use of the "Narrow Display Cutout", that looks very much like that of the notch, found in the Essential Phone. And then lastly is the iPhone X look alike "Wide Display Cutout"
And there you have it for the notch. 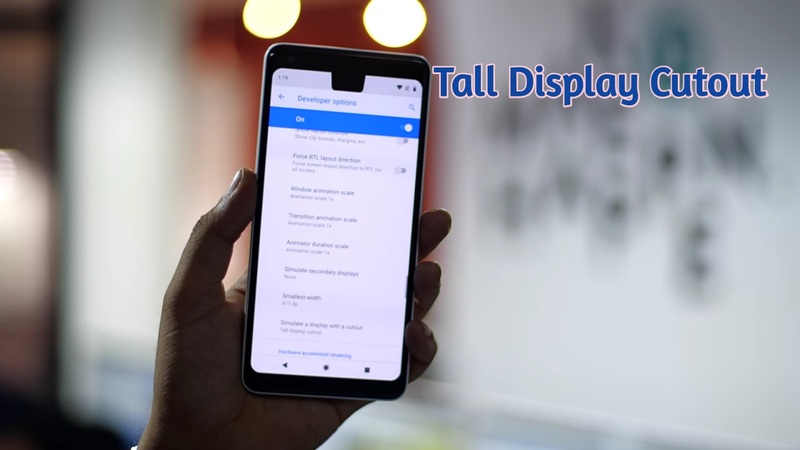 You know with all these notch display cutout stuff going on in here, something tells me the next google pixel smart phone, i.e the Google Pixel 3, might as well be having a notch of its own kind. Another section where a major change took effect, is in the notifications aspect of things. In the notifications tray, you can now see, read and reply to recent chats from a conversation, even with picture snippets added to them, and then Smart Reply, has been added to them as well. 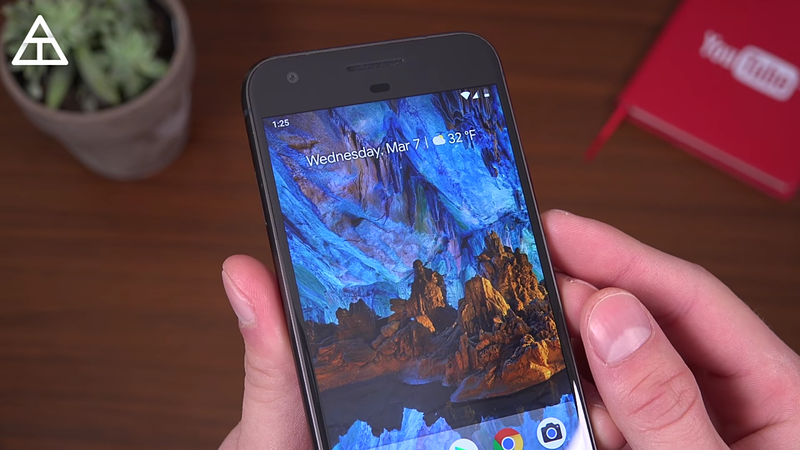 The fingerprint reader also got a slightly new feature added to it. 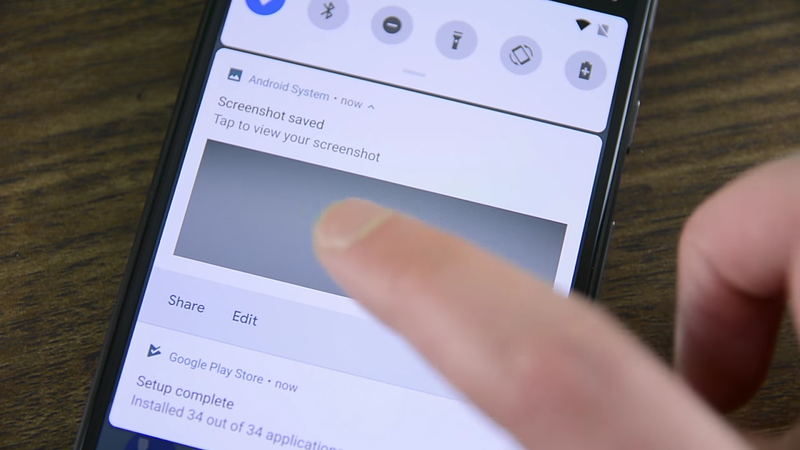 It is called the Fingerprint Lockdown, and what it does is to simply allow you to disable the fingerprint reader on your device, if ever the need arises. Such as when sleeping, and you don't want someone to use your finger to open your device, and then go through all the stuffs you have in there. Left to me, i will say this is a very great feature, and a very wise thought, from google. And then, it will allow users connect up to five Bluetooth devices simultaneously.. So guys, that is all there is to it with the Android P first developer preview. Meanwhile, tell what feature you loved most about it, or what features you would wish to finally see the light of the day, when it officially starts rolling out to everyone.